The North America Nintendo Switch eShop’s Coming Soon section has been updated to reveal new games coming on October 11, 2018. 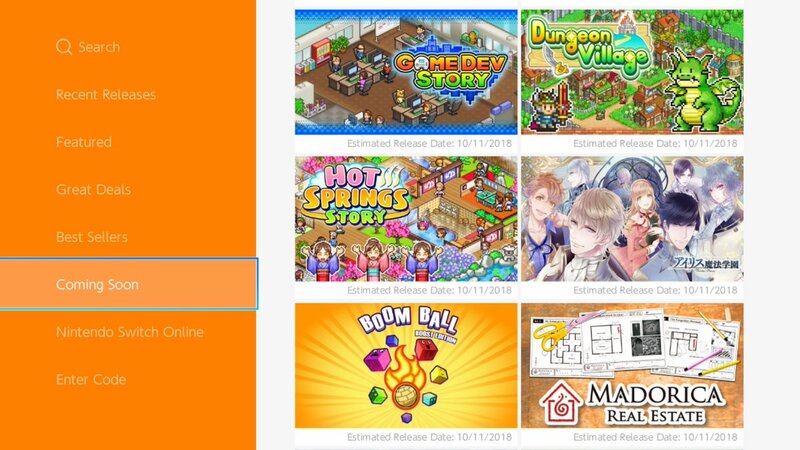 Kairosoft’s three simulation games, Game Dev Story, Dungeon Village, and Hot Springs Story will all arrive next Thursday. Also launching the same day as Madorica Real Estate. Will you buy these games?